Shanti, unlike some of her other friends was a student brimming with ambition. Living in a small village seldom evokes any reason for optimism, but Shanti thought otherwise. Having always been a top-class student at the village school, Shanti dreamed of leaving the village one day. She dreamed of studying at a top-draw university and subsequently becoming an IAS officer. Her father tried to pull her to the ground, explaining the realities of their financial and social situation. But Shanti didn’t care. Shanti only dreamed. Some dreams come true; some wither away, but most shatter mercilessly into a thousand pieces. Shanti scored extremely well in her board exams and could virtually go for any college of her choice. The only hindrance to her admission was the college fees. This hindrance slowly became a major roadblock for Shanti. Her father wasn’t wealthy enough to send her to college. Her relatives scoffed at the idea of lending money for education, saying she’d be better off staying at home and learning household chores. The village sarpanch refused to help as well. Like most dreams, Shanti’s dream looked set to be shattered. When she had almost given up, her father heard of a scholarship programme offered by a university in Delhi for meritorious students. Shanti applied for the scholarship and was soon accepted. Most dreams do shatter, but Shanti’s dream didn’t. Some birds are simply meant to fly. Consider the turning point of the situation explained above. If her father hadn’t come across a scholarship programme, Shanti’s dream would have been dead and buried. The surprising part is Shanti herself hadn’t heard of any scholarship programmes. She didn’t anything about financial aid, let alone how to get a scholarship. This lack of knowledge on her part almost proved detrimental to her life and career. Scholarships and fellowships are often considered two sides of the same coin. While this may be true, there are a few fundamental and incidental differences between scholarships and fellowships. These differences are tabulated below. Scholarships always imply financial aid. Every scholarship programme comes stacked with a financial aid plan. The aid might be complete or partial, but it is granted nevertheless. Fellowships do involve the mention of the term ‘financial aid’, but it isn’t a foregone conclusion. Fellowships usually involve a permanent place for an applicant at the college or university. Financial aid may be provided for research or studies, but it isn’t necessary. Fellowships are usually awarded as a status to make certain applicants permanent members of the university. Many alumni, faculties and renowned alumni are granted fellowships. Scholarships are usually awarded for undergraduate courses. Fellowships are usually awarded to research faculties and students, alumni and renowned scientists. Due to the influx of a large number of private colleges in India offering ‘alleged’ scholarships to students, there is a raging debate whether such ‘scholarships’ are genuine or simply fee waivers. To understand this difference, one has to understand the need for scholarships. Not only do scholarships act as a support for needy students, they act as an incentive for students to pursue higher education. For a developing country like India, it is of paramount importance to encourage the youth of the country to pursue higher education. If a major portion of the country’s populace pursues higher education, the benefits could be endless. This is a major reason why the government and other NGOs offer scholarships to students. A fee waiver on the other hand is essentially an incentive given to a student to join a college. Fee waivers are usually offered on a fraction of the total tuition fees. This is done merely to lure students to join one particular college. Colleges do offer specific scholarship opportunities, but they usually cover every expense a student might have. These scholarships are only offered to meritorious students. One e.g. 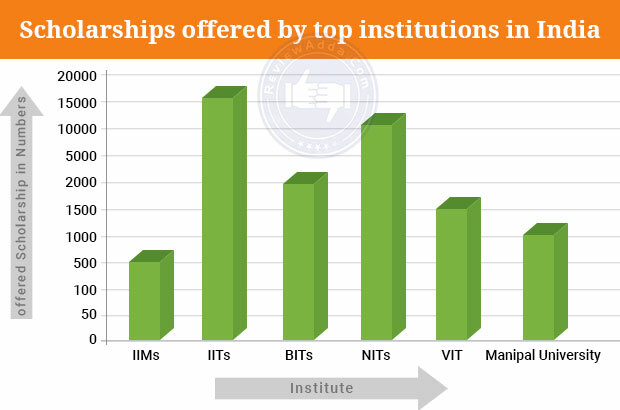 is Vellore Institute of Technology or VIT’s Support the Advancement of Rural Students (STARS) programme. This programme grants 100% financial aid to students from underprivileged rural backgrounds. This programme grants admission to 62 toppers from Tamil Nadu’s 62 districts. Such a programme can be considered a scholarship and not a fee waiver. 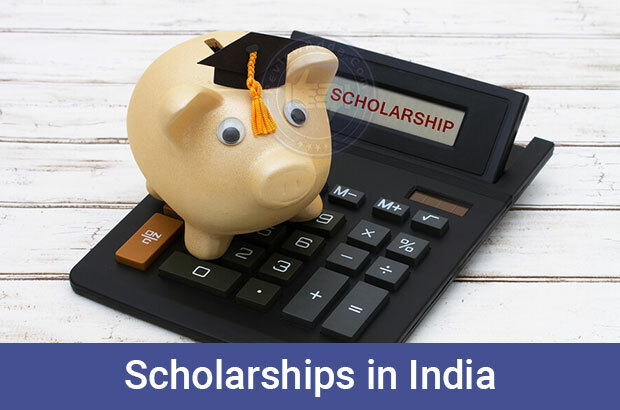 Besides merit, there are many other factors upon which scholarships are granted to students in India. This is done to reward students from a wide range of fields. Considering the importance of higher education in India, both government and private organizations offer scholarships to appropriate students. These scholarships are granted to students who do not have the necessary financial backing to pursue education. These scholarships are predicated upon the students clearing a certain cutoff to be eligible. The parents or guardians of the students in question usually have to submit an income certificate to validate the scholarship. The Ministry of Minority Affairs has offers one such scholarship for financial aid to students who need it. This aid is granted through the state governments and is applicable only for students from minority communities, making it essentially a minority scholarship. As the name suggests, merit-based scholarships are granted to students who perform exceptionally in a given exam. Scholarships from this category are usually not limited to students from certain sections of the society. Anyone with the required number of marks can apply for these scholarships. 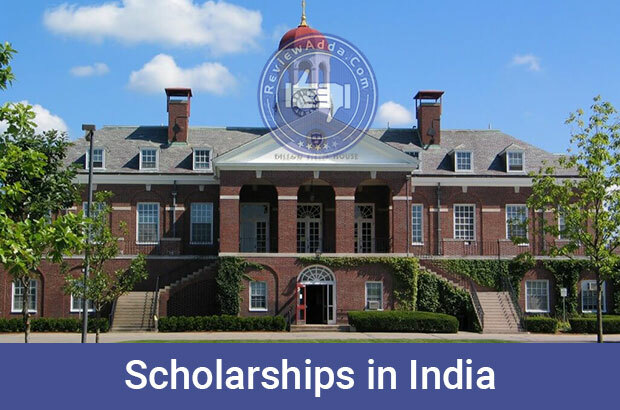 There are a number of merit scholarships in India. Some of these are M Scholar, Prime Minister Scholarship Scheme, Indiabulls Foundation Scholarship, Sitaram Jindal Foundation Scholarship and many more. Needs-based scholarships are usually designated for students with physical disabilities. Most scholarships under this category are offered by the government. Some of these scholarships are pre-matric scholarship (Classes IX-X), post-matric Scholarship (Class XI to Master’s degree) and Post-Graduate scholarship. These scholarships are awarded to students for school education. To avail this scholarship, students usually have to clear an assessment exam. A prime example of one such exam is the National Talent Search Exam (NTSE). This exam is meant only for Class X students who are looking to pursue higher education in the fields of pure and social sciences. Like school scholarships, college scholarships are dedicated for college education only. Financial assistance is provided for tranches like tuition fees, accommodation fees, laptop, and study material. These scholarships are granted based upon performance in the qualifying exam of the college. The Azim Premji Foundation offers one such scholarship for college students. The scholarship is essentially a fellowship programme with a regular monthly stipend. Scholarships offered by foreign organizations and universities usually come under this category. The aim of these scholarships is to encourage young Indian students to pursue their education abroad. Many top universities in the world such as Harvard, MIT and Yale have specialized scholarship programmes for foreign meritorious students. One of the world’s top universities, Harvard has a strong scholarship programme to incorporate students from around the world. These scholarships are very popular in the US for students very good at sports. 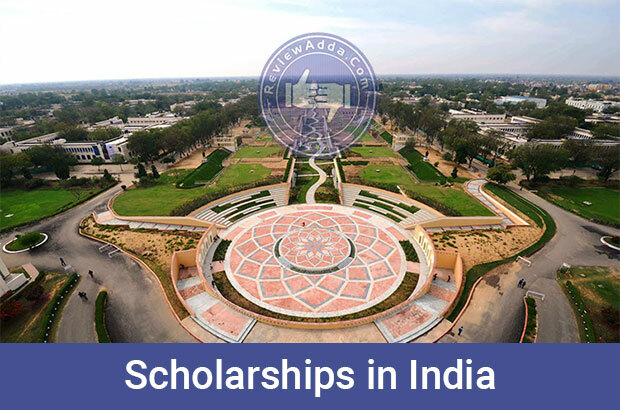 In India, scholarships are offered to students with an exceptional record in fields including and other than academics. These scholarships include Inlaks Fellowships for Indian Classical Music, Mani Mann Fellowship and Kalakriti Fellowship. Scholarships in India are no laughing matter. It takes a lot of hard work and dedication from a student to be accepted for a scholarship programme. Besides being academically proficient, students have to spend a copious amount of time finding and applying for appropriate scholarships. Given below is a list of steps students should ideally follow while applying for scholarship for college admission. The mistake students often make is take admission without scholarship search of the highest order. To find the right scholarship, students have to research for a long time through various online and offline channels. Make sure the organization offering scholarship accepts the college you’re applying to. Sometimes certain colleges do not pay fees for private colleges. While some scholarships cover the entire fees, some cover a certain tranche of the total fees. For instance, most scholarships usually cover only tuition fees. Students have to stump up accommodation themselves. Most scholarships come with the caveat of maintaining a certain cutoff for continual disbursement of scholarship. Make sure you maintain the necessary marks to continue receiving the grant every year. There are primarily four types of scholarships offered in India. Government scholarships include ones offered by the central and state government and other bodies under the government such as UGC and AICTE. The table below highlights a list of scholarships. There are other scholarships offered by the UGC, Central government and AICTE which haven’t been mentioned in the table above. You can visit any ministry site to find more scholarship programmes for students in the country. AS mentioned before with regard to VIT, there are many other colleges in India which grant university scholarships to students. The scholarship details have been tabulated below. Support the Advancement of Rural Students (STARS) programme. Awarded to 62 topper students from the 62 districts of Tamil Nadu. The scholarship covers all student expenses including accommodation. Besides government measures and private college initiatives, scholarships are also entailed under programmes run by private organizations. These scholarships are also awarded on the basis of performance in certain given examinations. The details of some of these scholarships in India are mentioned below. One of India most valuable companies, ONGC is a public sector undertaking by the government of India. Even though it is backed by the government, ONGC has autonomy over its operations. ONGC offers merit based scholarships to SC and ST students residing in the country. Details of the scholarship are as follows. Only SC/ST students are eligible for this scholarship. One of ‘nine gems’ amongst Indian PSUs, Indian Oil offers nearly 2500 scholarships every year to students pursuing a wide range of courses. The details of scholarship offered are tabulated below. 49.5% scholarships are reserved for SC, ST and OBCs. Additionally, the family income of students applying for the scholarship should not exceed Rs. 1,00,000. The second interview will be with the Director of Endowment. Selection will be based on performance in interview and score in standard examinations such as GMAT/GRE/IELTS/TOEFL. This programme is only for students pursuing full-time post-graduation. The amount to be repaid is 20% of the loan amount only. The Tata Scholarship for Indian students in Cornell University is another programme run by Tata Education and Development Trust. This initiative grants Cornell University $25m to support undergraduate students coming from India. The fund supports roughly 20 students every year. Keeping in mind the financial distress students coming from India might be under, this programme covers all the needs a student might have time during his/her time at Cornell. This programme was initiated by Ratan Tata himself, a Cornell University alumnus. Amongst the greatest Indian industrialists of all time, Dhirubhai Ambani changed the course of India by paving the way for the rise of his company, Reliance. As part of his vision, he wanted to eliminate money as being a hindrance to higher education. To fulfill this vision, he commissioned the Dhirubhai Ambani Scholarship (DAS) for students willing to pursue higher education in fields such as engineering, medicine, law, pharmacy, business management and social sciences. Scholarship applications are selected for this scholarship on the basis of merit alone. Another visionary industrialist of India, OP Jindal was amongst the country’s leading lights in business circles. OJEMS, a scholarship in his name constitutes the fundamentals of his vision for the country. OJEMS is a scholarship for students interested in pursuing engineering and MBA/PGDM. Most of the participating colleges for OJEMS are government colleges. Some private colleges for MBA scholarships are also considered. The scholarships are offered from second year onwards for both engineering and MBA students. The process of selection is given below. Shortlisted candidates from previous stage will be interviewed by a panel of judges. PI shall take place at four locations, Delhi, Mumbai, Kolkata and Bangalore. One of India’s most popular scholarship programmes, ABGS was commissioned back in 1999 to offer students scholarships pursuing education in the fields of engineering, business and law. Like OJEMS, ABGS mostly covers government colleges for engineering with the exception of BITS Pilani. The details of the scholarship are tabulated below. Scholarships will be offered on the basis of academic performance over the years, essays written by students which will be reviewed by a panel of evaluators and the final interview round. 16 students each from engineering and management and 8 from law will be selected for the scholarship programme. Scholarships offered by foreign universities and organizations come under this category. Foreign universities such as Harvard, Yale and Stanford have a number of scholarship programmes to aid students financially for a wide range of courses. Some of these international scholarship programmes have been listed below. These are essentially study abroad scholarships. The Fulbright Nehru fellowships were instituted to facilitate Indian students to come for higher studies to the United States. The fellowship only covers Masters Degrees and not undergraduate or PhD programs. The fellowship covers all expenses, from travel and accommodation to tuition fees as well. Selection process for this scholarship is very rigorous and is predicated on a number of factors. Selected candidates will have to appear for an interview in front of the United States- Indian Education foundation selection committee in New Delhi. It can be termed as a masters scholarship as it entails only post-graduate programmes. The British Council awards scholarships to students taking the IELTS exam in India through this programme. Primarily for students looking to pursue higher education in UK, this programme only recently awarded scholarships worth £1m to 370 students in India. Both undergraduate and postgraduate programmes are covered in this scheme. The selection process involves a wholesome analysis of the candidate’s application. A minimum IELTS cutoff also has to be cleared to be eligible. One of the world’s most popular scholarship programmes, the Rhodes scholarship initiative is the most prestigious financial aid projects in the world. The Rhodes Trust scours for the world’s most prodigious talents to become a recipient of the scholarship in question. The Rhodes scholarship essentially covers all expenses for students interested in studying at Oxford University. Interested students have to fill scholarship form online on the official website. Selected candidates will have to appear for interview at regional centres. Those who cannot make it can give the interview through video conferencing. After clearing the first interview, the selected candidates will have to appear for a final interview. For the final interview candidates have to be present physically. The travel expenses will be paid for by the Rhodes Trust. Focusing primarily on undergraduate studies, American University instituted this program to help students alleviate poverty and distress back in their own country. The scholarship covers all billable expenditure such as tuition and accommodation. Non-billable expenses such as books and insurance are not included. With the explosion of expensive private colleges in India, education has slowly become a very bankable business. This has made most middle-class Indians wary of the rising cost of education. Tier 2 private colleges today are charging five to six times more than the Tier 1 government colleges. Although people with deep pockets wouldn’t care much, middle-class Indians are finding it increasingly difficult to keep up with the inflated fee of colleges. In such a situation, scholarships become extremely valuable to this particular demographic of people. Many students today are choosing colleges based upon the scholarship programmes provided by the institution. Colleges like Amity and LPU have become premier choices amongst students due to their rewarding scholarship programmes. Not only do scholarship programmes help students from financial distress, but make them less burdened when they begin their professional lives. At times, students get burdened with the prospect of another fee installment coming up. Scholarships eliminate this problem and make things much simpler for students. A college is a place of study for a student. Putting the burden of fee payment on their shoulders at a young age affects their academics as well as their mental health. A scholarship alleviates this stress from students and allows them to study in a peaceful environment. The time to worry about money problems lasts a whole lifetime. It is better for students to be least bothered about money while studying at college. A scholarship implies that the ‘awarded’ is a scholar. This tag of being a scholar comes attached with every scholarship initiative. Consider any scholarship programme. The awardees are almost always highly skilled meritorious students. Thus, by being a recipient of a scholarship, the perception of a student forever becomes that of being a diligent and hardworking. This helps when the student enters professional life. Being a scholarship recipient sets a student apart from the crowd and gives them an edge when compared to the rest. In academic circles and professional strata, scholarship recipients become part of an elite group of highly gifted individuals. As mentioned before, being a scholarship recipient boosts a student’s profile many folds. A scholarship on one’s resume essentially sets them apart from the crowd. A much more viable option to bank loans. Education loans interest rates stand at 9.15% p.a. While the government always encourages banks to approve educational loans despite absence of collateral at times, it doesn’t help much when it comes to returning the amount back. As of October 2017, many major banks in the country are being recapitalized by the government as the banks have simply run dry. The main reason behind this has been the accumulation of non-performing assets (NPAs) over the years. The major contributors for these NPAs have been bad education loans. The high interest rate on educational loans is a big reason why scholarships in India have become so coveted. Besides tier 1 colleges, no other institute can really guarantee placement after four years. Even if students are placed, they are usually hired for low paying jobs in the IT sector. At such a low salary, it is nearly impossible for students to return the loan and increase their own living standards. Thus scholarships have become a necessity in the current educational setup of India. Until the government can come up with a solution to cap the inflation of private college fees, students will have to depend on scholarship programmes for financial assistance. I have given OJEE (ODISHA JEE), and ranked 1011, I choose this because, the location is near to my home, and that location & atmosphere is really attractive. Because there is so many students are coming having brriliant in knowledge.